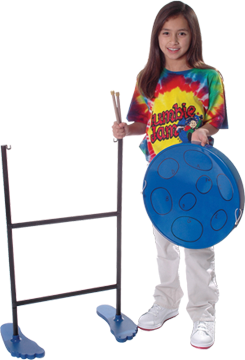 Watch The Jumbie Jam In Action! 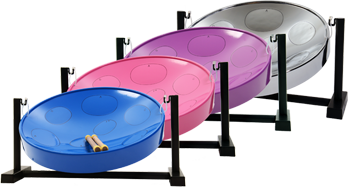 Want To See How We Make Our World Famous Steel Drums? 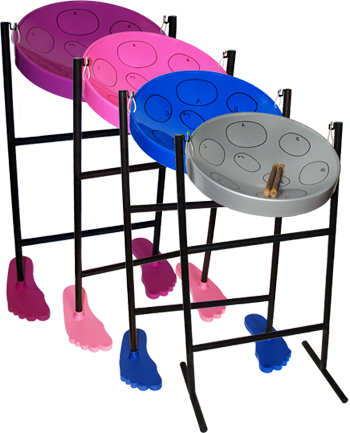 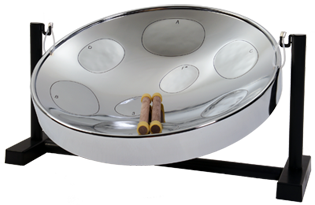 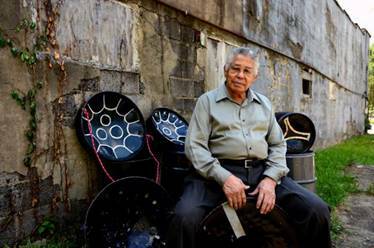 This all Steel Instrument is "MADE in USA" by Panyard, Inc. World Leaders in Steel Pan Musical Instruments and Accessories (family owned and operated since 1990). 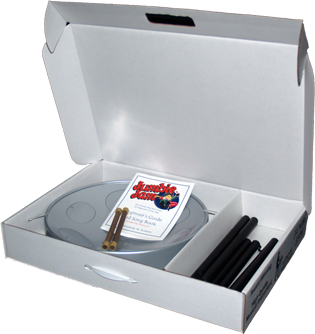 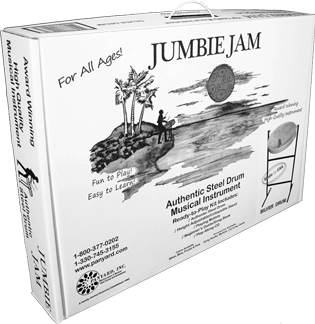 The Jumbie Jam is packaged as "Ready-To-Play-Kit" and comes in a hip carrying case. 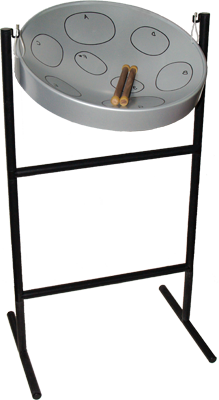 Creates a spirited look, loved by kids and the young at heart! 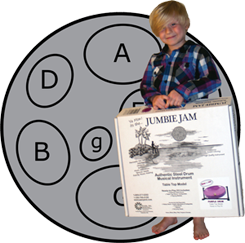 The Jumbie Jam has been awarded twice by the National Association of Music Merchants beginning with a "Best in Show" in 2008 and followed by a "Best Tools for Schools" in 2010. 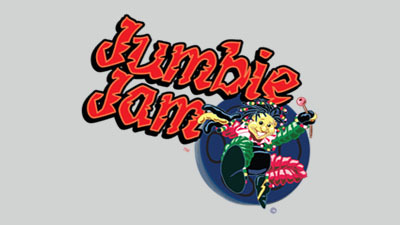 The Jumbie Jam is named after a character in Trinidadian folklore; the "Jumbie". 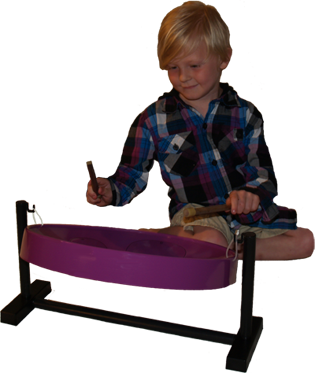 This mischievous and playful spirit grabs hold of you, compelling you to do a particular thing. 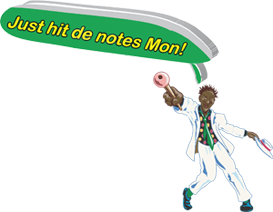 What you are urged to do depends on the type of Jumbie that bites you. 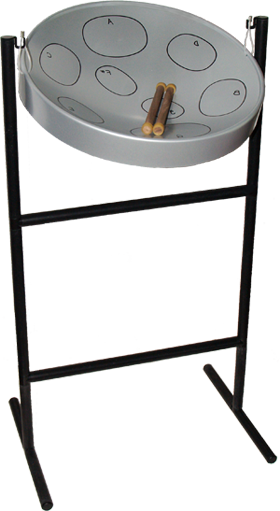 You have now been bitten by the Pan Jumbie giving you the "Jumbie to Jam!" 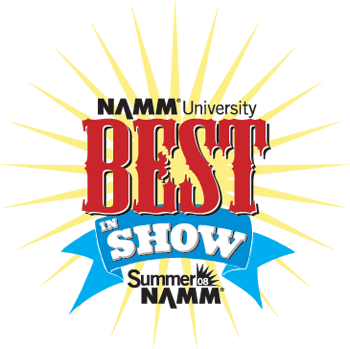 Best in Show "Trendsetting Product" The Best in Show panel consisting of six music industry experts recognized the high quality and user experience.  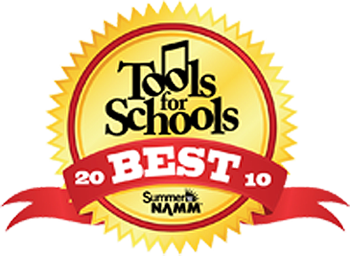 Best Tools for Schools Award developed by Symphony Publishing, which allowed music educators to identify music products and materials that provide innovative solutions and opportunities for music learning. 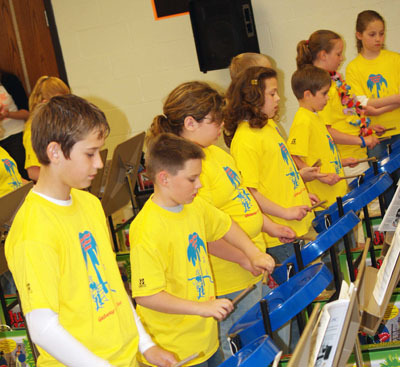 The expert panel selected the Jumbie Jam recognizing it's ability to easily teach music and attract students. 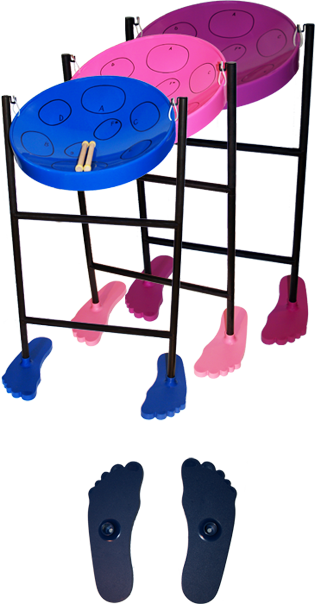 Also noted were Panyard's teacher guides and song books assisting the teacher to incorporate the Jumbie Jam into their existing music classroom or teaching it as a new instrument.